I hate peas. I'm just not a fan. They're bland and just don't have enough flavor for me to think they're exciting. My husband and son, on the other, love them. And hey, if it's a vegetable and my son will eat it, I'm making it! 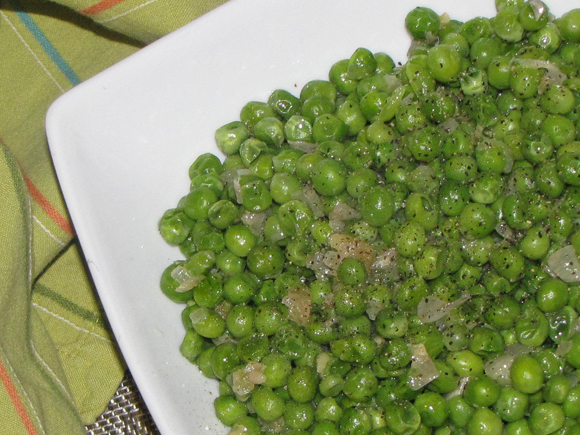 I thought I'd jazz up the standard, boring peas one night by adding a few full-of-flavor ingredients. Garlic is, of course, my number one go-to, but I also had a shallot sitting around. They aren't as potent as onions so I thought I'd throw that in, too. It was the perfect amount of mild, onion flavor, salt and garlic that turned this whole thing into the perfect side dish. So live it up a little and jazz up your food. 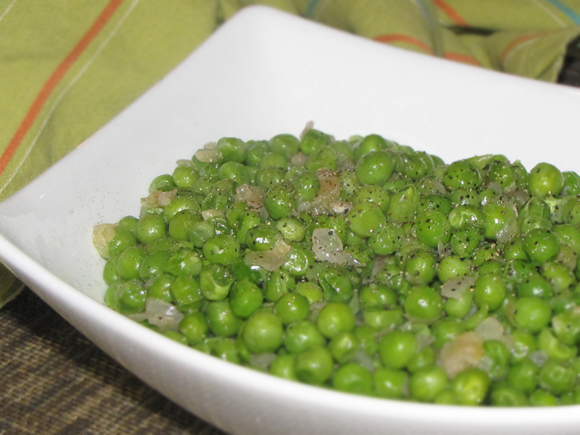 In fact, with Christmas right around the corner, serve up these peas instead of the usual food that you just ate a month ago... You might just get some non-pea-eaters to love them. I did! 1. Cook peas according to directions. Drain and set aside. 3. When garlic is warm, add shallots and 1/4 tsp of the salt. Cook until the onions are opaque. 5. Add peas, stir, and season with remaining salt and pepper. Continue cooking until peas are hot.